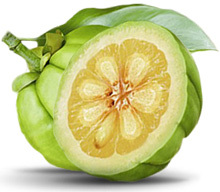 While there are different opinions about the effectiveness of GC supplements in weight loss, the National Institute of Health claimed through studies that GC supplements (like Garcinia Cambogia XT) when paired with exercise and healthy diet can prove beneficial in losing weight. First, it suppresses your appetite by improving serotonin levels. Research says that serotonin levels have been linked with depression and anxiety, which has always been a major cause of emotional eating. HCA can elevate your serotonin levels, improving your mood eventually cutting down on binge eating due to emotional stress. Second, HCA is a potent inhibitor of citrate lyase, which plays a key role in fatty acid, cholesterol and triglycerides syntheses, according to research and more. Main function of citrate lyase includes conversion of carbs into energy, along with conversion of un-used carbs to fats. Controlling citrate lyase by supplements affects and curbs the fat making and storing process. It can also been found effective in reducing LDL or “bad” cholesterol. And lastly, it is known to boost metabolism, which is a prime factor for the increasing obesity problem in modern times. While the fruit has been safely consumed for ages, most GC supplements are natural and are generally considered safe for consumption through mouth, according the clinical studies, studied for a period of 12 weeks. However, caution should be taken since they do have some mild side effects and can interact with certain prescription medications too. Women who are breastfeeding or pregnant should avoid taking an HCA supplement. Diabetics taking insulin or pills should first talk to their doctors. Individuals taking statin should are at the risk of side effects like muscle degradation. So exercise caution and talk to your doctor first. Additionally, people taking prescription medicines for iron deficiency, pain, Alzheimer’s or other forms of dementia and warfarin as a blood thinner should consult their physician first. Lastly, like most dietary supplements, the FDA has not evaluated safety or effectiveness of GC supplements. In the late 2000s a warning was issued by the FDA, when more than 20 reports was received with severe reactions like liver damage by individuals taking Hydroxycut supplement. The supplements contained GC along with other compounds. However, the clear reason for liver damage was unclear. Research for safety assessment of the HCA have shown that there is strong evidence to prove that GC supplements are safe for human consumption when HCA intake is under 2800 mg/day. Read the label carefully and ensure that it contains “garcinia cambogia” or “GCE” with a atleast 50 percent active ingredient, HCA. HCA is available as different salts including three popular salts – calcium, potassium and magnesium salts. These salts allow effective absorption of HCA by our body, which is less likely when pure GC extract, which is less bio-available is consumed. Look for HCA supplement that is clubbed with potassium or magnesium, since they increase the absorption, are more stable and would need lesser dosage of the supplement for effectiveness. Take 500 to 1000mg atleast 30-60 minutes proir to the meal on an empty stomach. Limit your intake to 2800 mg total a day to avoid harmful side effects. Always wondered if this is a scam! Thanks for sharing the info Namrata. Very helpful.